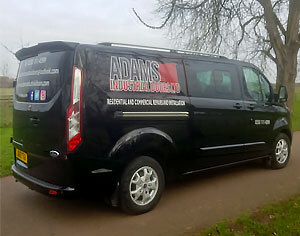 Adams Industrial Doors Ltd is a family run business with over 10yrs experience in the field of Installation, Repairs and Servicing of Industrial and Residential doors throughout the country. Adams Industrial Doors Ltd prides itself on providing high levels of Customer Service, and because we have low overheads it means we are able to pass on huge savings to you our client. With response times of 24hrs for emergency call outs, initial enquiries are just as important to us so we respond to emails and calls within the same time frame. If site visits are needed to clarify measurements or requirements we aim to do this within 48hrs where possible and we always provide FREE no obligation quotations when parts or new doors are necessary. Thank you for visiting our website and we welcome any further questions you may have.